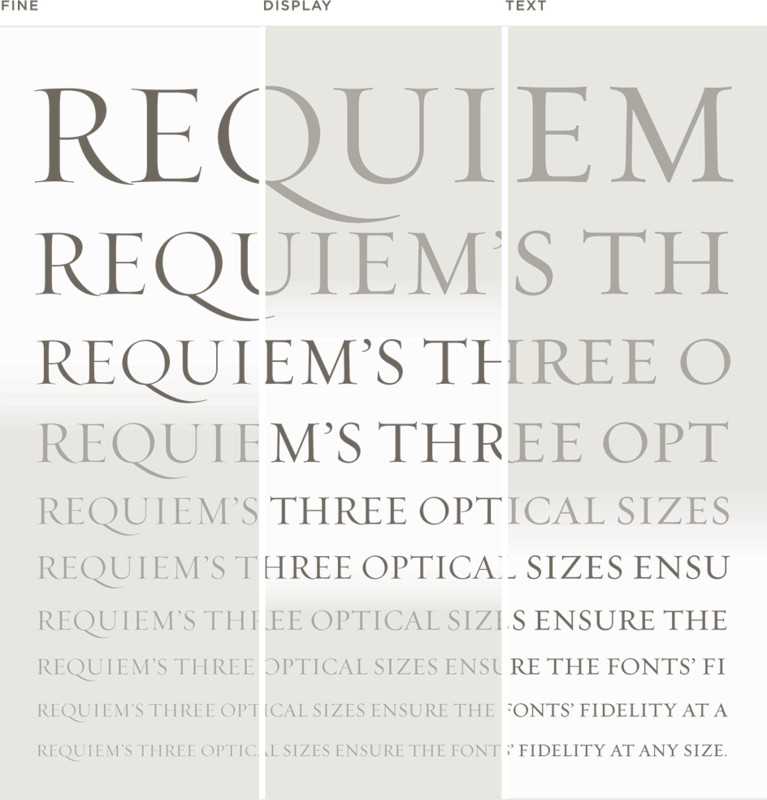 Requiem Font Features: Optical Sizes | Hoefler & Co. The size of a typeface affects not only how it reproduces, but the way in which we experience it. 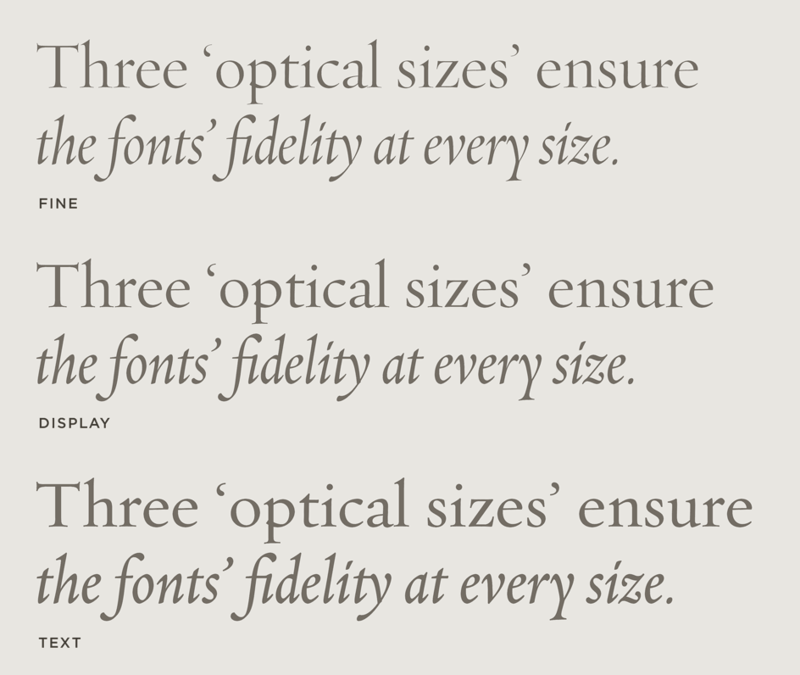 Because we expect different things from fonts at different sizes, Requiem comes in three different versions that ensure peak performance at every size. Add to all of this the simple mechanical problem that thin lines get thinner as they get smaller. A typeface whose design depends on contrast between thin and thick strokes is especially susceptible to this effect, and the greater a typeface’s contrast, the more its design needs to be adjusted as it gets smaller. So that Requeim’s delicate serifs can always be kept as thin is possible, the each of its styles is provided in three different masters: a Text version for small sizes, a Display version for large sizes, and a Fine version for monumental sizes.